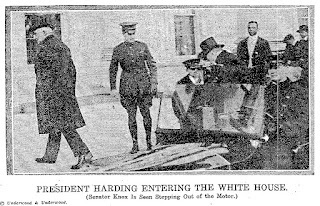 So the big news of this week in 1921 was the inauguration of President Warren Harding! Before the 20th amendment, the Presidents were inaugurated on March 4th! 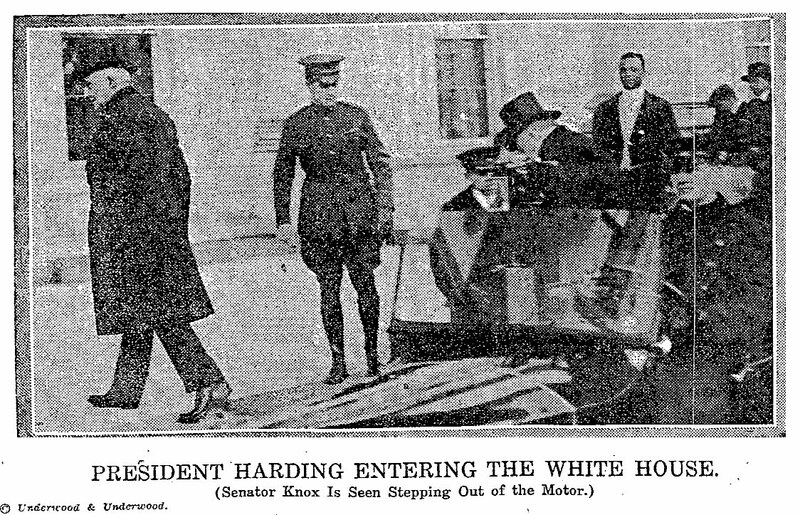 Limping on Cane, But Smiling, He Goes to Capitol With Harding. But Fearing to Venture Out on East Portico, He Regretfully Leaves for His New Home. Last Formal Statement Shows Coldness to Lodge--Gets Big Ovation at His Home. Going on Special Car to Be Used at Inauguration of President Harding. New President Will Swear on Same Page Thumbed by George Washington. The same Bible was used for Presidents Eisenhower, Carter, and George Bush Sr. Plenty of Politicians and Officeseekers in Capital, but Few Old-Time Spectators. Everything Settled for Today's Event Except the Exact Part That Wilson Will Play. Churches on New Haven's Historic Green Hold Services Today. Ohio Catholic Pray for Harding. There is an editorial on Harding's speech at The New York Times, March 5, 1921. Two Machines Put the Latest Edition Into Washington Early in the Morning. Start from Long Island Delayed Forty-five Minutes as Result of Storm. And the "happy puppy story," as my family always calls fluff news, is about boots given to Mr. Harding from a shoe factory for his inauguration. Micah 6:8: (KJV): He hath shewed thee, O man, what is good; and what doth the LORD require of thee, but to do justly, and to love mercy, and to walk humbly with thy God? Acts 5:34-39 (NASB) - But a Pharisee named Gamaliel, a teacher of the Law, respected by all the people, stood up in the Council and gave orders to put the men outside for a short time. And he said to them, "Men of Israel, take care what you propose to do with these men. For some time ago Theudas rose up, claiming to be somebody, and a group of about four hundred men joined up with him. But he was killed, and all who followed him were dispersed and came to nothing. After this man, Judas of Galilee rose up in the days of the census and drew away some people after him; he too perished, and all those who followed him were scattered. So in the present case, I say to you, stay away from these men and let them alone, for if this plan or action is of men, it will be overthrown; but if it is of God, you will not be able to overthrow them; or else you may even be found fighting against God." Acts 22:3: I am a Jew, born in Tarsus of Cilicia, but brought up in this city. I studied under Gamaliel and was thoroughly trained in the law of our ancestors. 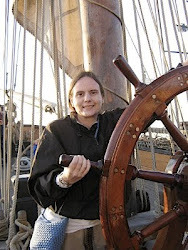 I was just as zealous for God as any of you are today. Guess that's enough news for today!